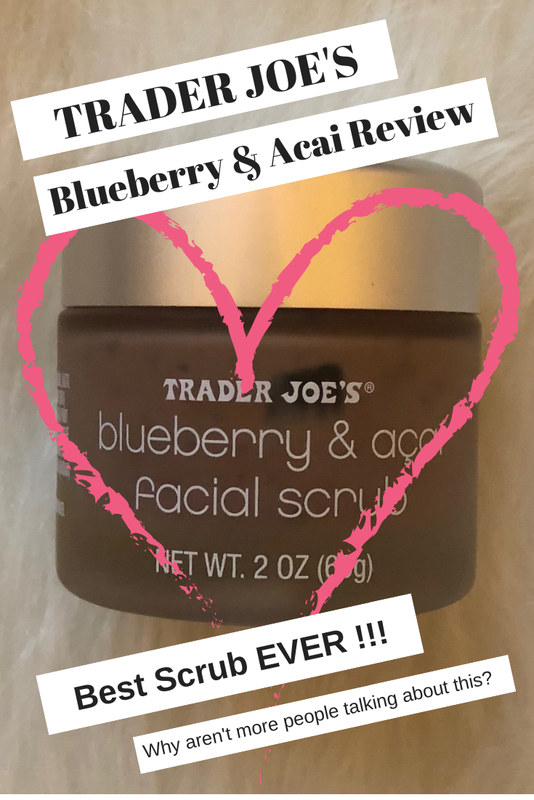 Trader Joe's Blueberry & Acai Facial Scrub; Why Aren't More People Talking About This !?! 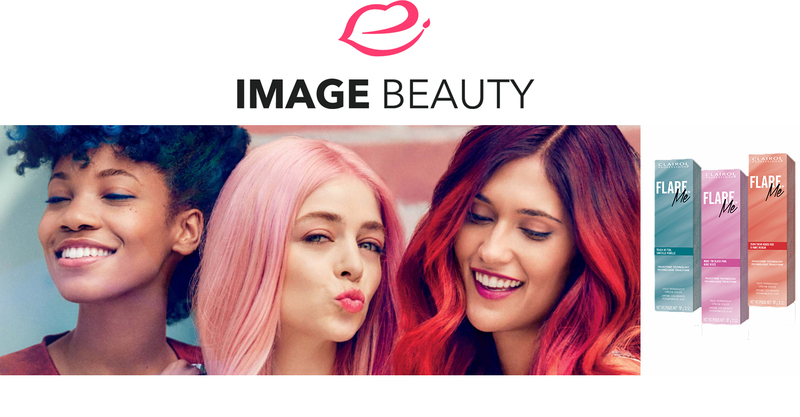 - PRETTY IN MY HEAD BLOG | A Funny New Beauty and Lifestyle Blog: A beauty blog with a twist. Fun look at Beauty, Lifestyle, and Fashion with humor. 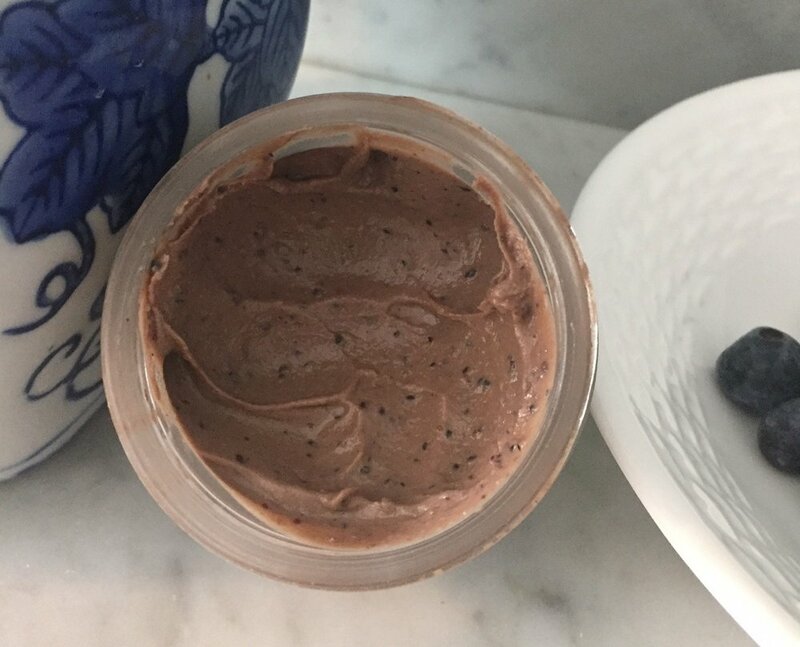 Trader Joe's Blueberry & Acai Facial Scrub; Why Aren't More People Talking About This !?! About a month or so ago I was in a heavenly place known as the beauty aisle of Trader Joe's when I noticed a product I hadn't seen before. I'm not sure exactly when it was launched, but I think it's pretty new. Getting back to the point, when you first open the thick glass jar the scrub is housed in, you will notice it's aroma. It smells just like a freshly baked blueberry muffin. This isn't too surprising due to its high concentration of this key ingredient. This is where its exceptional exfoliating benefits come into play. Unlike other scrubs on the market, this product is not overly grainy. You don't feel like you just experimented with a belt sander on the delicate skin of your lovely-and-only face. For this scrub, it's the blueberries er, it’s the alpha-hydroxy acids, or AHAs that work the magic. Since I have sensitive skin, I dilute the scrub first with a few drops of water. I scoop a small amount of the product into the palm of my hand, sprinkle a few drops of water, and massage into my face after first double cleansing (organic coconut oil to remove makeup and Dermalogica Ultra Calming Cleanser to cleanse the skin). Depending on the sensitivity of your own skin type you can dilute more or less or none at all. Follow with your favorite toner and moisturizer and you are good to go. Honestly, at about $6.00 per 2 oz jar, this stuff is amazing!!! In addition to the price and quantity, I am also so impressed with the results. My skin felt smooth, and any dry flakiness was swept away. I use this scrub about 3 times a week without any issues. Since only a dime-size amount is needed, it lasts a long time. I'm in love to a degree that I may just sleep with it.